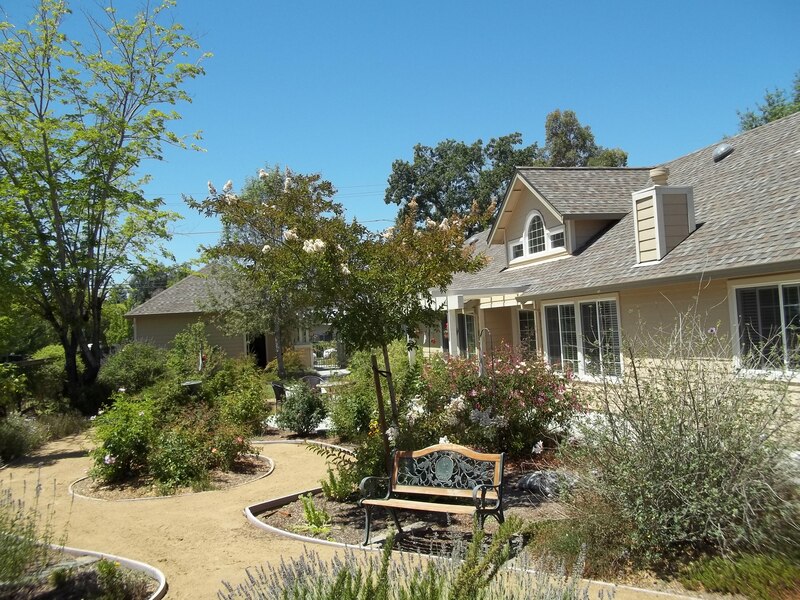 Wild Rose Care Home is a 6-bed assisted living facility in Santa Rosa, California. The memory care facility is owned and managed by Mary Garcia, a registered nurse with over 30 years of nursing experience and 20 years of elder care experience. The building has been designed with a simple floor plan and ample natural light to mitigate confusion for seniors with memory loss, dementia and Alzheimer’s disease. Many residents choose Wild Rose Care Home for its large private rooms, Nurse managed care, and experience with memory loss. You might notice that Wild Rose Care Home is unique among Sonoma County assisted living facilities. Our custom-built 6 bed care home has been designed to mitigate dementia related confusion and disorientation while maintaining a home-like atmosphere. Furthermore, unlike larger senior living facilities managed by individuals without medial training, owner Mary Garcia, RN is directly involved in the care of every resident. Under Mary’s supervision Wild Rose Care Home has been successful in caring for residents with advanced dementia, incontinence, combativeness, and physical limitations. Our proactive approach to prescriptions, doctors orders, and hospital communication will help your loved one receive timely medical attention and thrive under our care. To help your loved one receive medical attention our trained staff provide transportation to and from non-emergency medical appointments at no additional charge. Wild Rose Care Home also offers regular activities administered by our full-time activities coordinator to help your loved one stay engaged in a social setting. Call owner Mary Garcia at (707) 695-2937 to schedule a tour of Wild Rose Care Home. Wild Rose Care Home provides 24-hour care and assistance with the activities of daily living. Our flat rate includes housing, incontinence care, transportation to medical appointments, 24-hour awake-night supervision, meals, personalized care and much more. Call today to learn more about our assisted living services included in our flat daily rate. Wild Rose Care Home is over 3,000 square feet, has 6 resident bedrooms and is designed to accommodate residents with memory loss. All residents enjoy a private bedroom and bathroom, large common shower room, garden, and a home built from the ground up to accommodate residents with memory loss. Wild Rose Care Home staff receive annual training in dementia care. At Wild Rose Care Home we know that caring for a senior with dementia can be challenging; visual hallucinations, unusual behaviors, memory loss and incontinence are regular events. To meet these challenges Mary Garcia, R.N. has implemented dementia staff training to ensure that residents with memory loss receive targeted personal care. When searching for Sonoma County assisted living facilities consider the medical experience and credentials of the person in charge of your loved one’s care. Unfortunately, many administrators have neither medical nor elder care experience; they are business managers in charge of facility operations but not resident care. In contrast, Mary Garcia has over 30 years of medical experience. She has extensive experience in caring for residents with dementia, Alzheimer’s disease and physical limitations so you can rest assured that your loved one is receiving the personal care they deserve. Mary Garcia is a registered nurse with over thirty years of medical experience. As a registered nurse she has extensive experience in dementia, Alzheimer’s disease and the physical challenges that occur with age. To date, Mary Garcia is the owner and licensee of both Wild Rose Care Home and Wild Rose Care Home at Quail Run. Searching for assisted living in Santa Rosa can be a challenging experience. Many assisted living facilities offer numerous activities, fine dining and independent living. However, few residents with memory loss are suited to large assisted living facilities. For instance, many residents with dementia become over-stimulated in large facilities and respond with unusual behaviors or adverse reactions. Simply put, large Santa Rosa assisted living facilities are not well suited to provide personal care for residents with memory loss. At Wild Rose Care Home our memory care philosophy includes small care homes, personal care and professional medical experience. We know that our assisted living facility is unique; we built each 6-bed assisted living facility from the ground-up, maintain an excellent staff-to-resident ratio, and sacrifice profit for personal care. No, we’re not the biggest, but we know that we deliver excellent personal care to each of our residents. So, if your loved one requires assisted living care supervised by a registered nurse call us today to schedule your free tour.